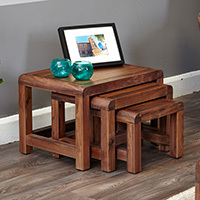 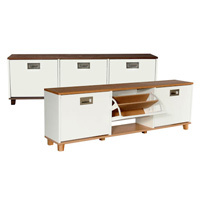 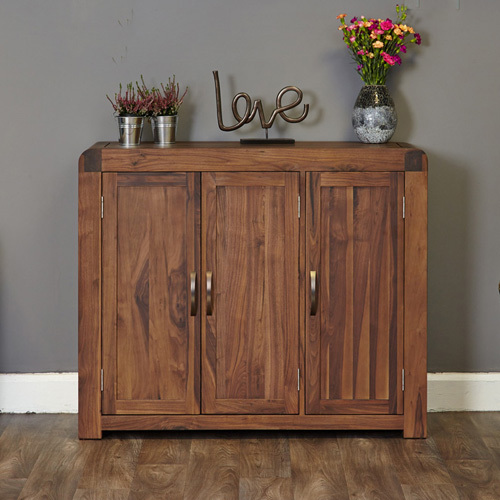 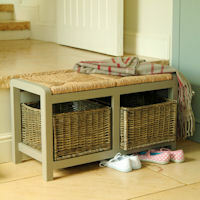 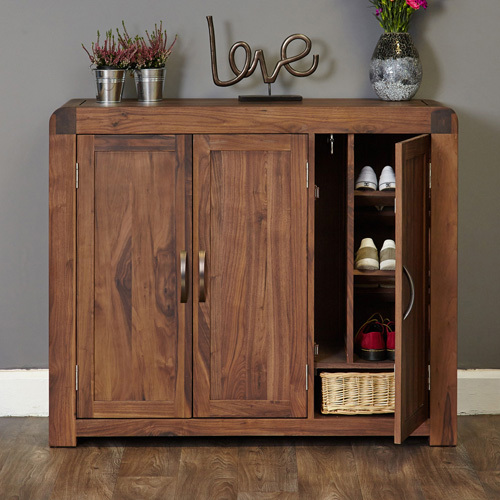 Our walnut shoe cabinet looks like a stylish sideboard when closed, but has bags of storage inside. 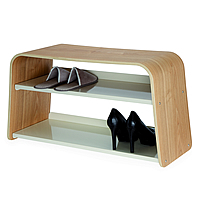 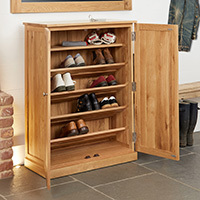 The unit has 4 shelves on the left hand side, one of which is removable for boot storage and another 3 angled shoe shelves on the right, this unit can hold up to 19 pairs of shoes in total. 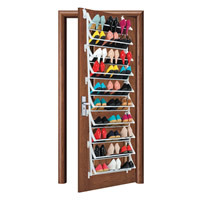 In addition, in between the two shoe shelves there is a pull out rail for hanging umbrellas. 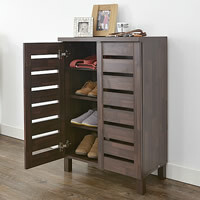 Delivered to your door fully assembled, you can leave your tools in the garage when this unit arrives at your door. 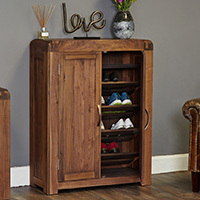 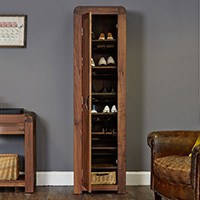 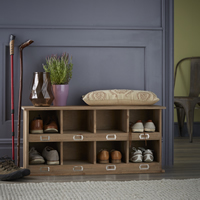 Made from top quality dense grained wood, our shoe cupboard comes with a 5 year guarantee and we think the unit will look fantastic in any hallway, offering valuable storage space both within and on top.